Not all gadget purchase story has the blissful ending we usually hope for whenever making a purchase and the same is the case for a couple of Apple Watch owners who literally never got to enjoy the benefits of their watch as it became stuck during setup on the Apple logo. This proves to be a very frustrating scenario as it spans a wide array of customer subsets and seems to defy location and conventional solutions as the watch is stuck in its boot loop. Some users report this issue as their watch perpetually displaying the Apple logo whenever turned on, other users complained of experiencing an intermittent display of the Apple logo for about 7 seconds, then a blank screen before repeating the cycle. Others complain of this logo display accompanied by an inability to pair with their iPhone, thus making any automatic reinstalling or reconfiguration via the iCloud difficult. Not to worry, if you happen to be among the select few experiencing this issue, you have accessed the right resource. We have taken the painstaking liberty to research and highlight the best of solutions to resolving this Apple watch stuck on Apple logo issue some users are experiencing. Various levels of hacks exist to resolve this issue and although some sound rather unconventional, we have proven them first-hand to be bankable viable tips crucial to resolving this error. Before initiating any of the below fixes, we advise users to ensure their Apple Watches batteries are either 100% charged or the gadgets themselves are currently charging. This is very practical when your Apple watch is still paired with your iPhone but encounters the stuck on apple logo issue. Go to iPhone Home screen > Watch App > Find my Watch (click up to 3 times). 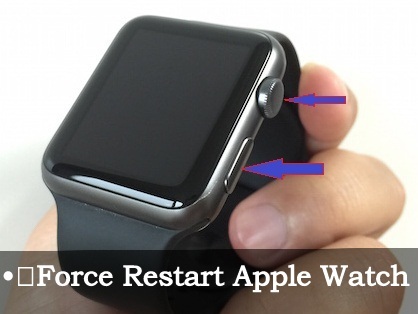 Another way to resolve the stuck in Apple logo problem is to consider Force Restarting the Apple Watch. To force restart your watch, long press the digital crown and side button simultaneously till the Apple logo appears on the screen. If still unresolved, repeat the process multiple times. Wait for your watch to respond to the command and play the sound after a couple of seconds. It inadvertently breaks the stuck cycle and forces the watch to operate normally. Click the Digital crown and side buttons simultaneously to kick-start the process. Tell Siri "Turn off VoiceOver". Confirm configuration as the voice over gets disabled and watch restarts. Ensure the affected Apple watch is paired with your iPhone. 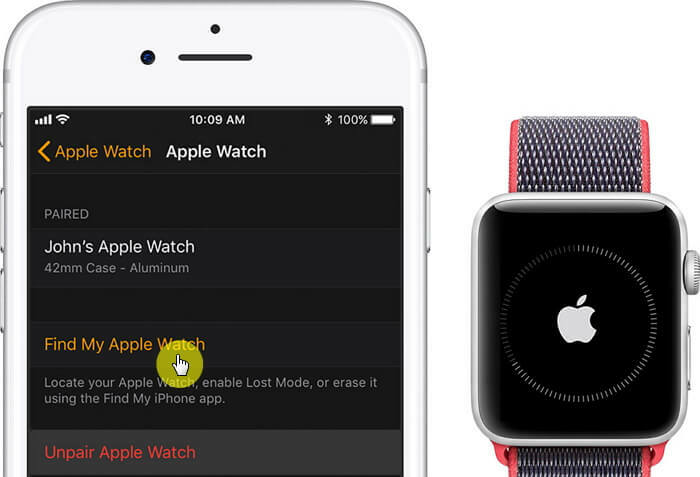 On your iPhone, access the watch app, then the General tab. From General tab go to Accessibility. 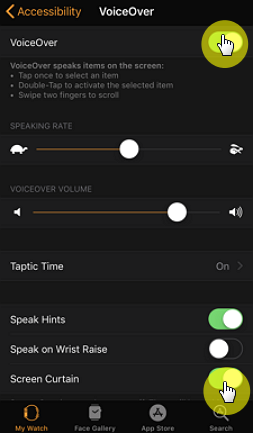 Disable both Voice over and screen curtain from the available options. If users are sure of an existing backup of their iPhone, then the paired watch data would be automatically backed up on the iCloud. Factory reset literally rids your device of all data, settings, picture, songs etc., thereby returning it to its initial from-factory mode. This act should eliminate all settings and bugs that might be responsible for the Apple watch stuck on Apple logo issue. To perform the reset, follow the following procedure. On your Apple watch, go to General > Reset > Erase All Content and Settings. Upon request, input your Apple passcode. Confirm the erase by tapping the Erase All button. Wait for the watch to restart. Re-pair your watch to your iPhone, be careful not to restore from a backup. Should the above error still persist on your Apple watch after trying all possible fixes, it is recommended that users consider updating their OS to the most recent. Currently, the latest watchOS available on the market is the watchOS 4.3 High Sierra which is the most elucidating OS. This OS fixes most of these reported glitches. 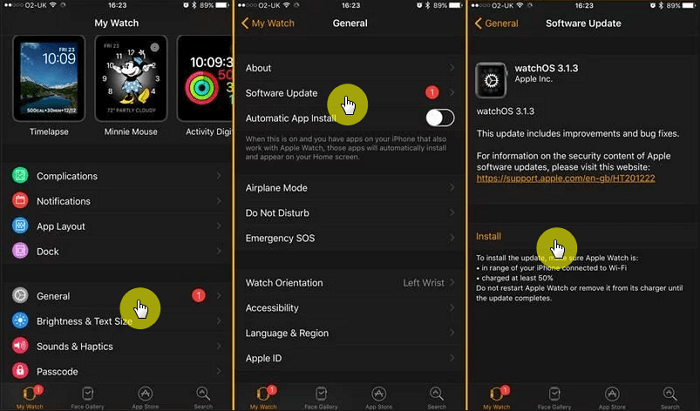 To successfully update your watchOS, follow the procedures below. Pair your watch to your iPhone. Access the Software update tab and click to download the OS. Insert your iPhone or Apple passcode upon request to initiate the watchOS update. Not only Apple Watch may be stuck on the Apple logo, but also iPhone and iPad. If fixing apple watch issues is easy, then fixing iOS issues may be not. In this case, we may resort to the third party tools. Among all those iOS repair software on the market, iMyFone iOS System Recovery is one of the best. 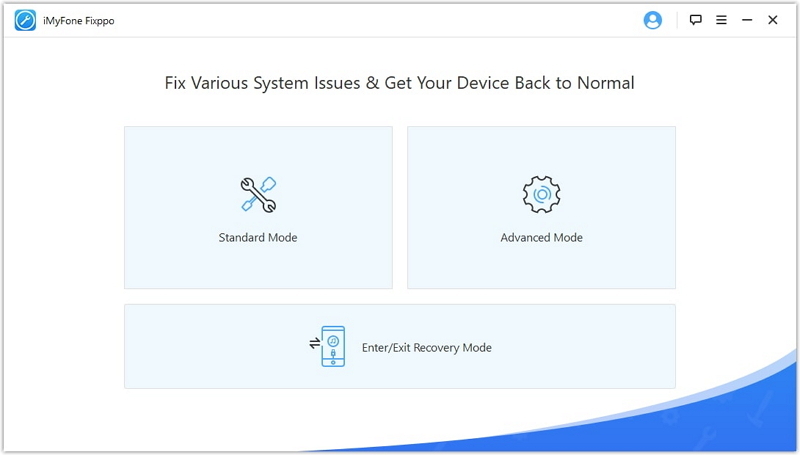 What makes it stand out is its various fixing modes (Standard Mode, Exit Recovery Mode, and Advanced Mode) and its higher chance of fixing than other counterparts. So if you happen to be meeting those upsetting iPhone system issues, you can give it a try. Even if you are among the lucky few to be not able to resovle the issues, the 30-day money back guarantee will free you from such concerns. In summary, although this issue is widespread for users who recently updated their watchOS or have watches experiencing some internal circuiting issues caused by crash or dirt, we do hope this article was useful in addressing your Apple watch hung on Apple logo problem as easily as it resolved it during our experimentation.